It’s not a sign, billboard or advertisement, but something far more important! 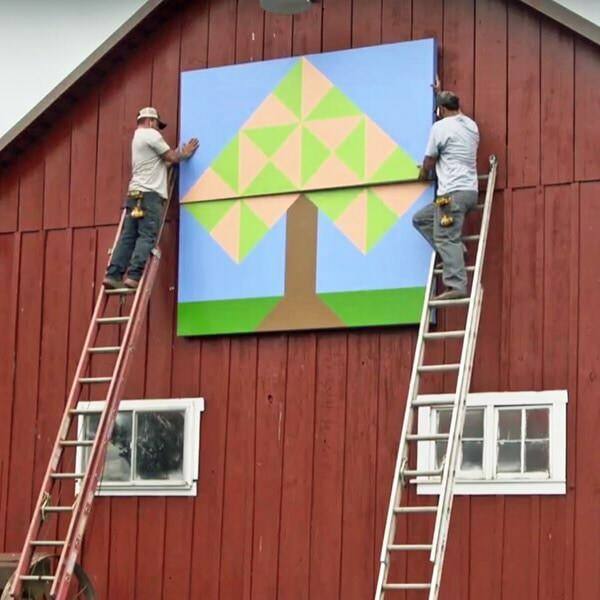 It’s called a Quilt Block and it’s a new tie that binds Mark Grossen to his family peach farm. These large hand-painted wood blocks show off colorful artistic messages that connect family farms to the local community. The idea of large wooden blocks becoming monumental sized quilt patterns was born among the members of the Washington County Quilters Guild. Guild members meet regularly and create beautiful quilts on a smaller scale. The current project is for charity: up to 50 quilts created for the children of Camp Erin, the largest national bereavement program for youngsters grieving the death of a sibling or parent. “It is sort of being wrapped in a hug, so it’s a special thing,” says guild member Julie Mason. Mason says she got the idea of wooden quilt blocks while traveling through the Midwest a couple of years ago. She thought quilt blocks could boost Oregon’s tourism with a positive visual message. 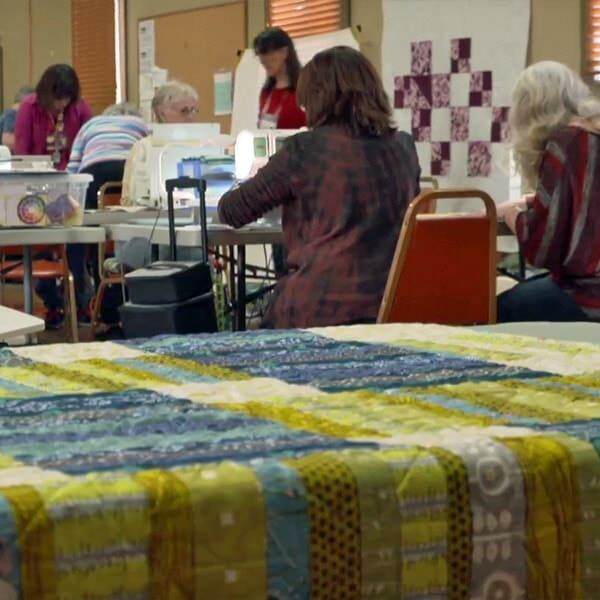 In fact, one of the first quilt blocks was installed atop the guild’s home base, the Jessie Mays Community Center in North Plains, and it honors longtime guild member and friend, Veronica Andrews. This wooden block idea has really taken off. Soon, there will be more than 50 across Washington County’s barns and buildings. 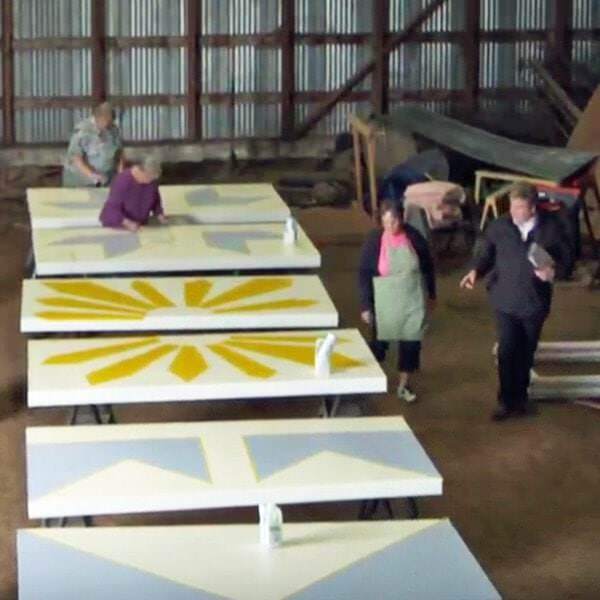 The guild teams up with barn owners to come up with meaningful themes and designs. Behind the scenes, a small volunteer army designs, builds and paints the 8 x 8 wooden blocks. Mason says each is unique in color, design and, most importantly, the stories that each block tells. It’s also an homage to her pioneer ancestors. 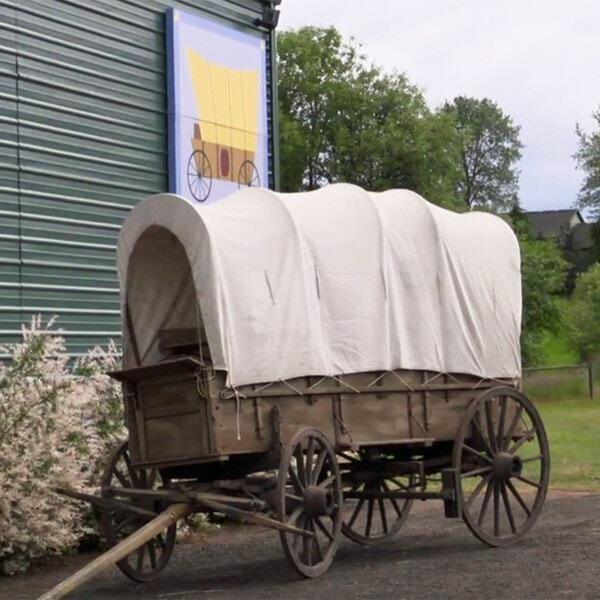 Mason adds that the Oregon Trail is a common theme across Washington County’s agricultural community and points to Lyle Spiesschaert’s covered wagon block as an example. The quilt block connects to his great grandfather’s real deal that rolled across the country in 1884 and continues to rest on the family farm. 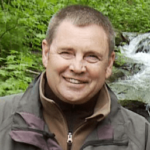 There is now a Quilt Barn Trail that you can visit. The online map guides you to more than 40 blocks, with another 20 blocks on the way this year. It’s a terrific tour that puts you in touch with local history and will teach you more about an important side of local communities.